I read this article and found it very interesting, thought it might be something for you. The article is called Gyda Valtysdottir (mūm) and is located at https://www.totallydublin.ie/event/gyda-valtysdottir-mum/. 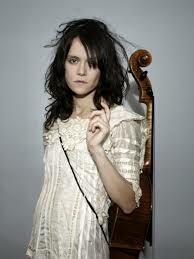 Gyda Valtysdottir has been active as a musician since her early teens when she co-founded the experimental pop-group múm in the late 1990’s. Classically trained, she’s created music for films, installations, dance, among many other creative ventures. Gyda’s 2017 release Epicycle saw her mine a classic repertoire with her own polishing of gems. Her latest release Evolution sees her capture ethereal qualities in her compositions. As you look up at the ‘Blessed Be…’ slabs in the Unitarian, you will release this is a hand in glove coupling.